Hello there, if you haven't already heard there is a new release out today from Simon Says Stamp. I was kind enough to receive the Lots of Snowflakes set from the new Stamptember release and let me tell you, it is stunning! I love snowflakes anyway but these really are beautiful. 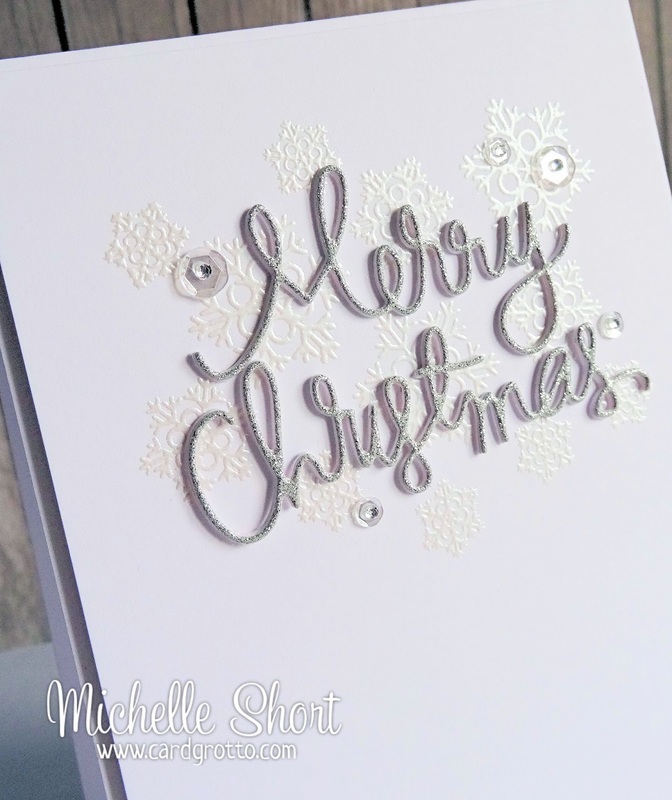 I went with a white-on-white/silver/sparkle card today, which is really difficult to photograph but looks lovely IRL. I stamped three of the snowflakes from the set randomly over the top portion of a cardstock panel using Versamark ink. I then added WOW Silver Pearl embossing power and heat set. This did warp the cardstock slightly so I popped it under some heavy book for an hour. 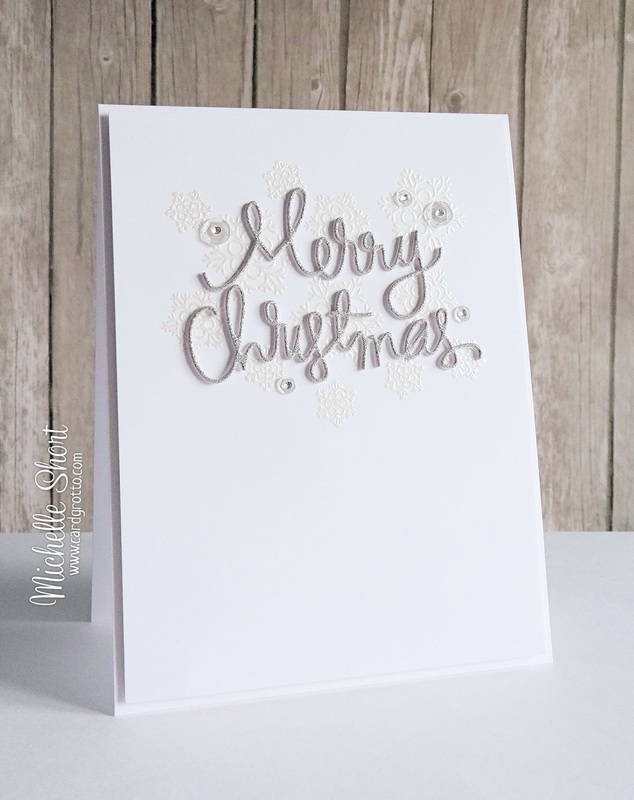 I then die cut the beautiful SSS Merry Christmas word die twice from white cardstock and then once from silver glitter paper. I layered these up and then added them to the panel. I then took some PPP Sparkling Clear sequins and added these to the panel also with teeny rhinestones in the centres. The panel has been added to a white A2 card base. A big thank you goes to Simon Says Stamp for sending me the set, it has definitely become one of my faves. Thanks so much for visiting me today. As well as the new SSS release today, the teasers start over at Stephanie's blog for the new September Clearly Besotted release :) I'll see you tomorrow for the start of my peeks, you will love the new sets! Ooooh simply crisp and yummy! Please don't make Christmas come any sooner though will you Michelle!! !